"Replace Furnace and AC Together https://www.pinterest.com/pin/697635798507699510"
I'm passionate about the environment and social media. I spend part of the day in the twittersphere, on facebook, and right here at Home Energy Pros connecting with people enthusiastic about energy efficiency. Go green! Here's what's happening on twitter! Thanks, Diane. I have a question. mail@homeenergypros.org that partially shows his response - but I can't figure out how or where to see the full response. There's a link in the email that just goes back to his original post, with the comments below, but that's all. Thank you Diane. Is it fine to share my articles about improving the efficiencies of water filtration systems with links to my website? thanks Diane Chojnowski, hope i will join conversation in future and i'll try to share my personal experience. Thank you for the warm welcome Diane. I'd certainly would like to contribute. Thank you. 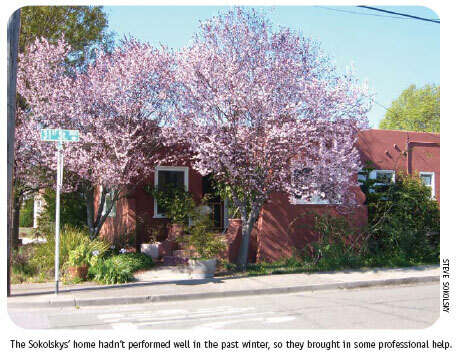 Did anyone catch the latest Building Science article on composite insulation? Thank you Diane I look forward to contributing and learning from the forums.